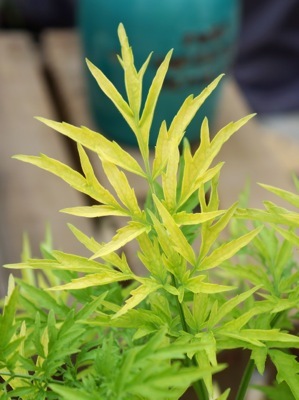 You can guess from its name what makes this Sambucus nigra so special. 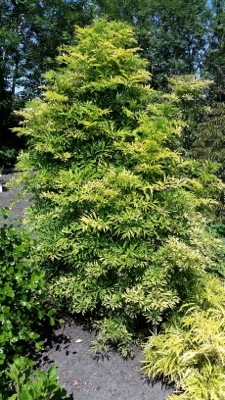 Sambucus nigra Golden Tower has an elegant, narrow upright growth. 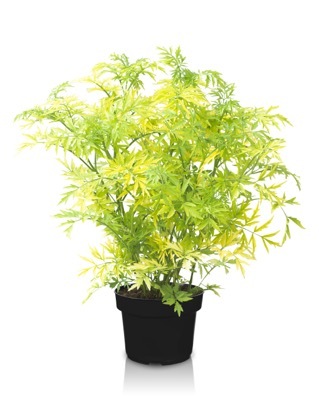 This elderberry also features showy, yellow-green foliage. Its color is like gold glistening in the sun! The leaves have a gorgeous, deeply incised shape. 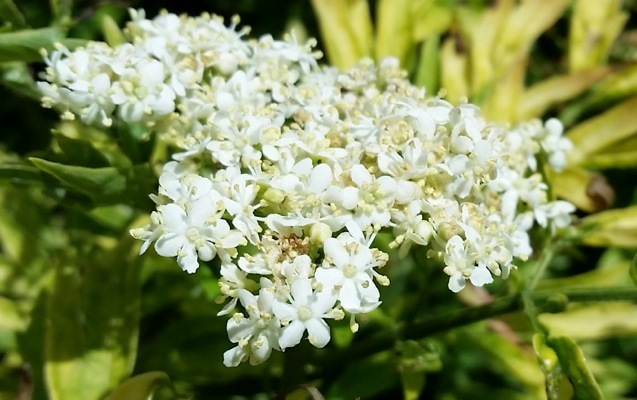 Pretty, white flower clusters appear in summer.Golden Tower requires very little maintenance. 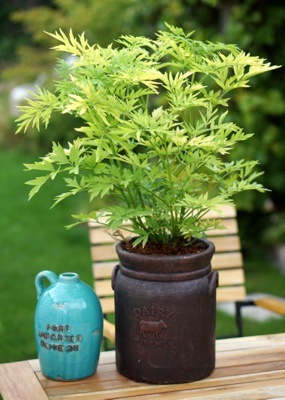 Place the plant in moist, humus-rich soil in partial shade. It can withstand cold weather conditions up to USDA zone 6b. Golden Tower reaches a height of 118" and a width of 28". Its slender shape makes it a great shrub for small and large gardens. 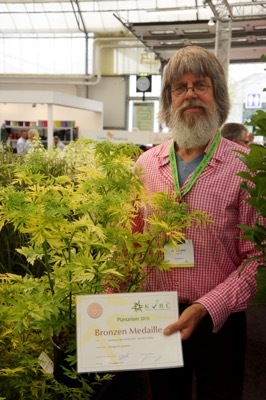 Very suitable as solitary, mixed with other plants in a container or in a shrub border in your garden. It is also an excellent plant for landscaping. 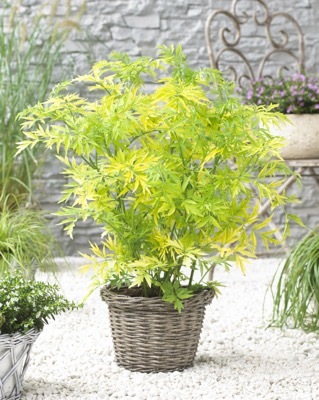 Golden Tower adds height and color to your garden!